It was time to hit the road again and depart Melbourne. 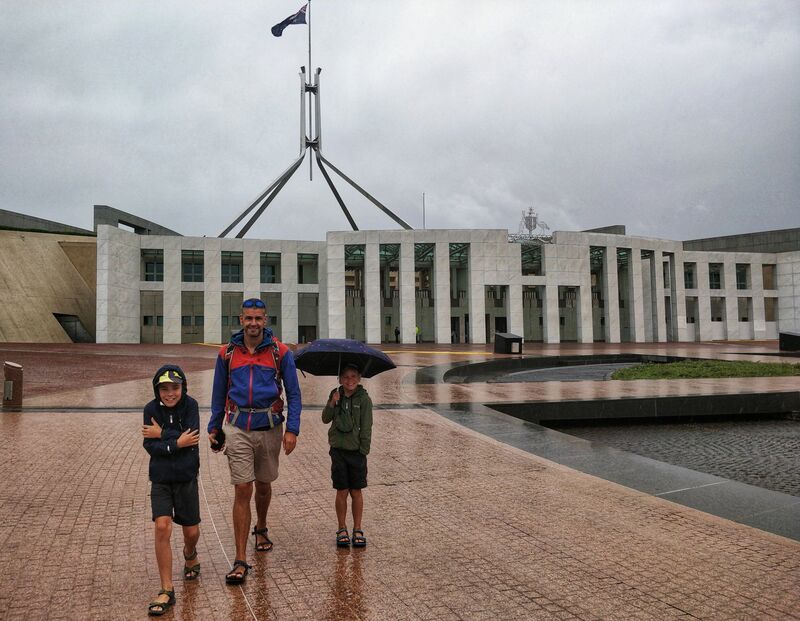 We were on our way back to Sydney and so decided to call into Canberra for a quick visit. 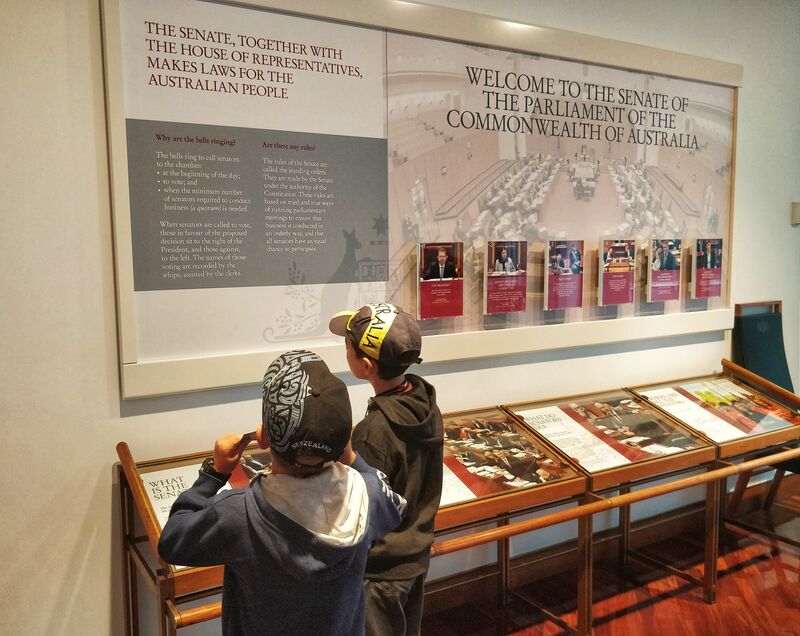 This is what we got up to with 2 days in Canberra with kids. As budget travellers we did consider all the options for travel to Sydney but found the inflexibility of the buses and cost weren’t adding up. So in the end we decided (for a family of 4) to hire a car. This gave us more options and time to do what we wanted. We hired our car through Apex Rentals who were based at Southern cross station, Melbourne. The process was very easy and a we got a reasonable (although clearly a smoker had rented before us!) Hyundai i30. But for $279 (around £155) for 9 days, it wasn’t bad! Our first leg to Canberra was a long 7 hour drive & around 660km (including picnic and toilet stops). Wow! Australia is a whole new driving experience!! We found that having a car meant we weren’t restricted to more expensive city hotels. In fact our New Zealand adventures proved that the cheaper accommodation can be found in the campsites. So we booked 3 nights in a lovely 2 bed cabin on the outskirts of Canberra, Capital country holiday park. It was great to have space! The campsite was lovely and quiet (even with a school group there!). It had a small pool, jumping pillow and even had kangaroos in the campsite and around the perimeter. 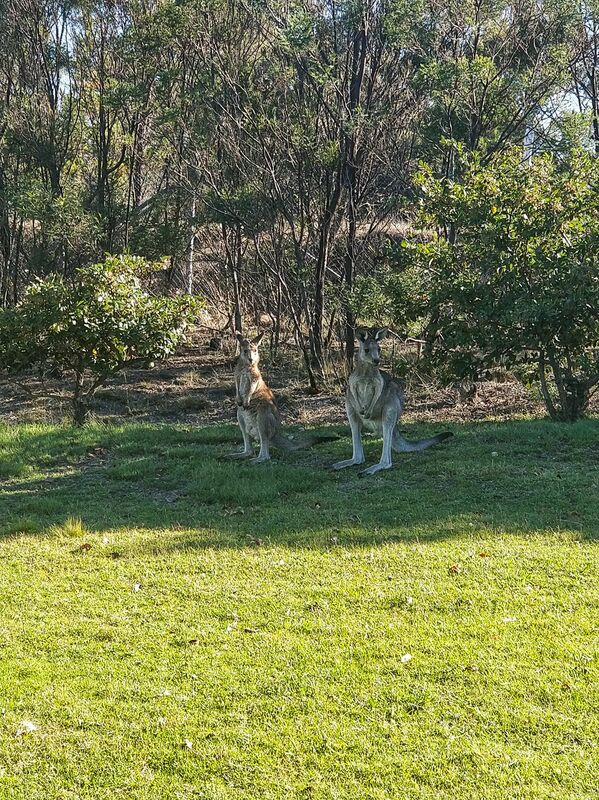 The boys were so excited to see their first kangaroos. For this stop we asked Ethan to research things to do. This was to cover one of his homeschooling activities, but also give him chance to take control. (He’s a bit like his mummy in that respect!). The more he investigated the more he realised there was to do! 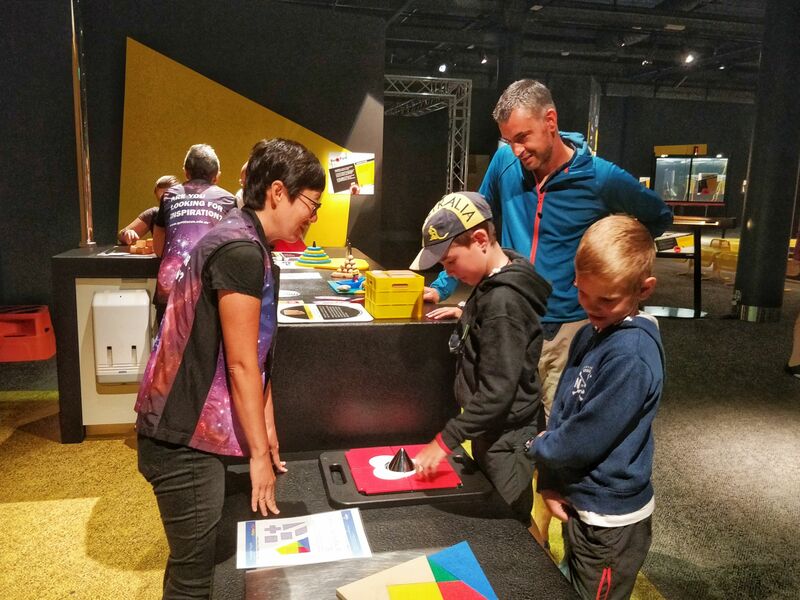 Canberra has quite a few family friendly activities! Not the most inviting of places when you first approach. I was hesitant entering the building as there were no ‘entrance’ or ‘visitors here’ signs. At first I thought I had it all wrong. We entered the security check and walked into the huge main foyer. It was at this point we were approached (mainly because we were looking so confused) by a lovely gentleman. He asked if we wanted a tour and explained a little about where to go and provided us with a map. We didn’t intend staying long, so preferred to just go at our own pace! Actually as we were wandering round we were able to hear the guides who were taking school groups around. In addition there were plaques giving lots of information. 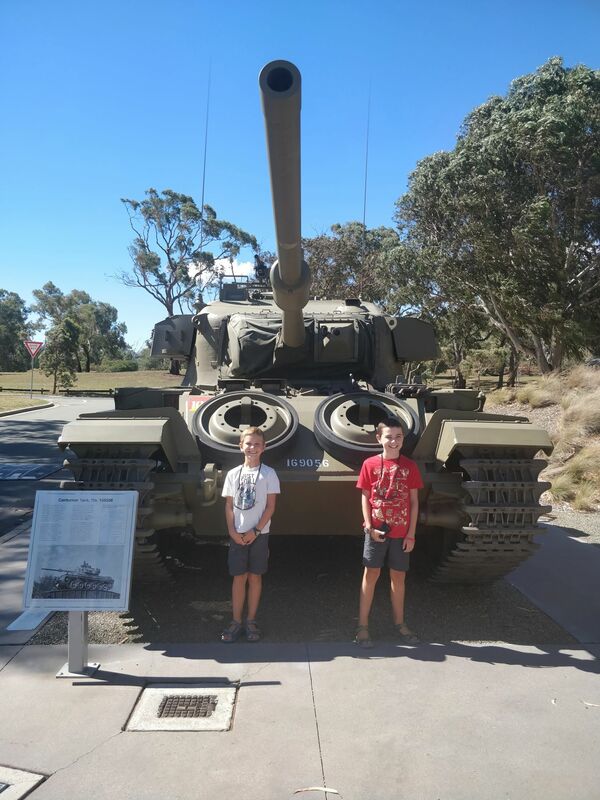 This was a useful schooling activity, but not the most enjoyable for the boys. 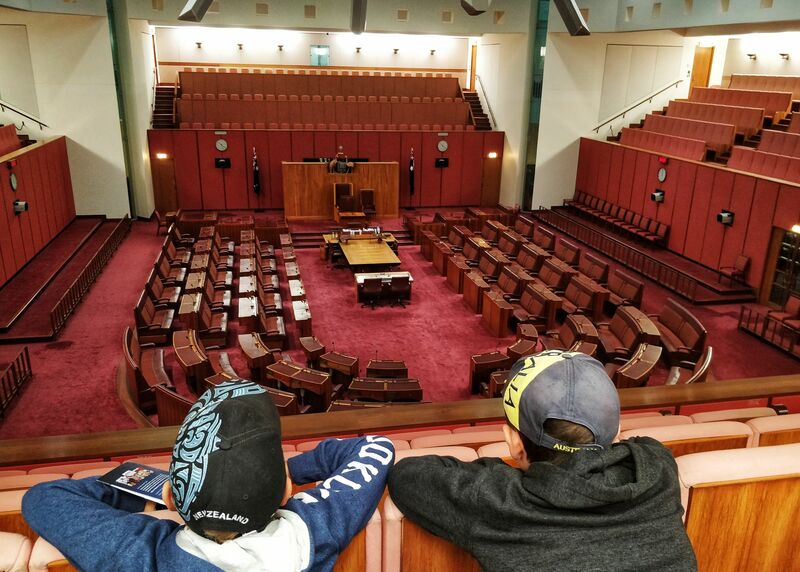 Ethan explained that his class learnt about government let year and had to set their classroom up as such. 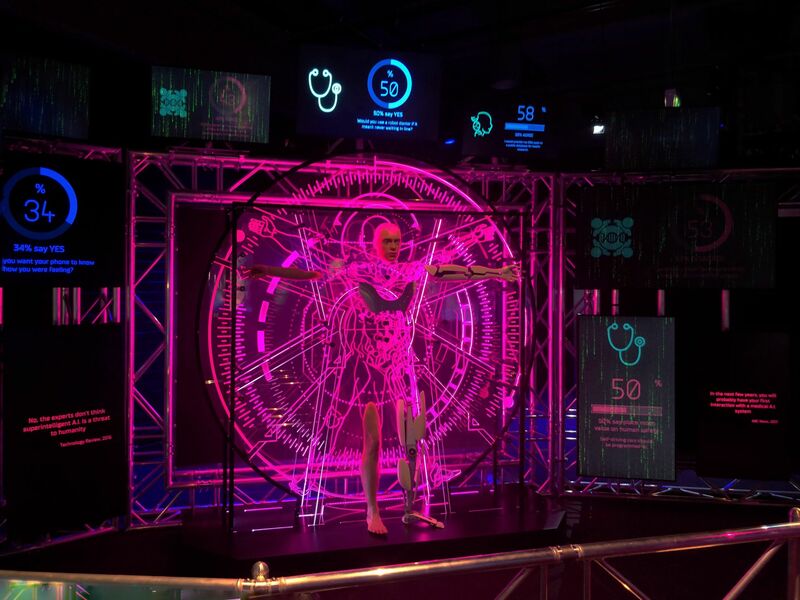 The cost to enter was $70 for a family ticket of up to 2 adults and 3 children. 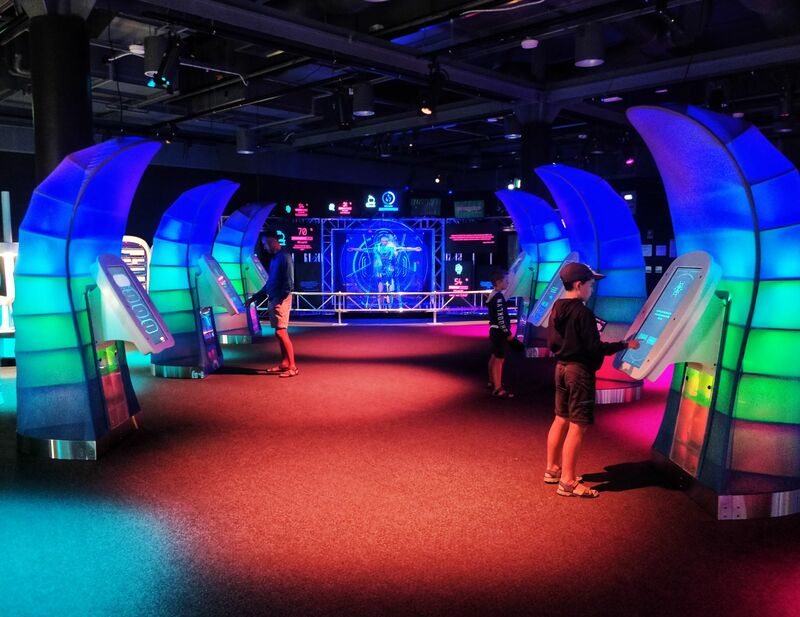 We’ve been to a few science museums during our adventure and they are great for hands on learning. However, we’ve been to a few where half the equipment isn’t working! Which isn’t much use! That being said – this wasn’t the case here. Literally everything was in pristine condition! Plus, there were lots of staff who took over the ‘learning’ which was fantastic! The boys are sick of listening to us all day. 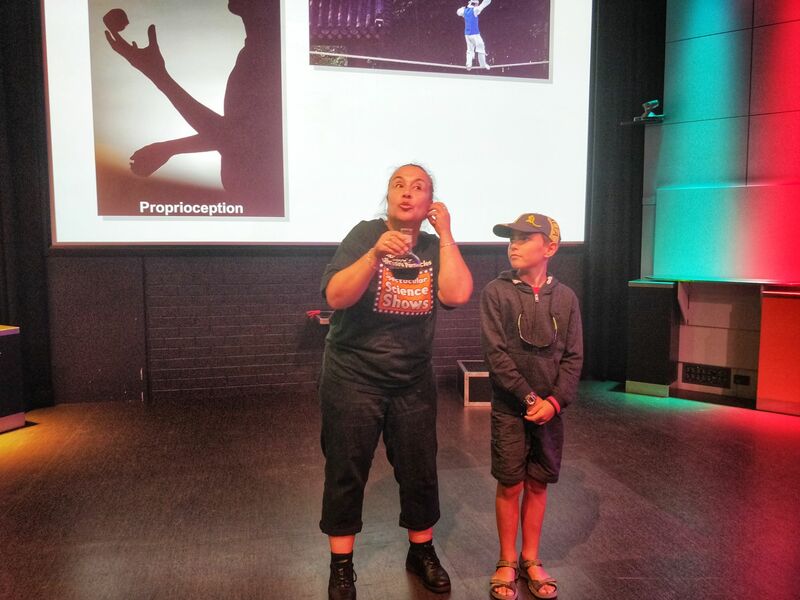 We had a great activity with a lady who showed us illusions, tricks and puzzles. 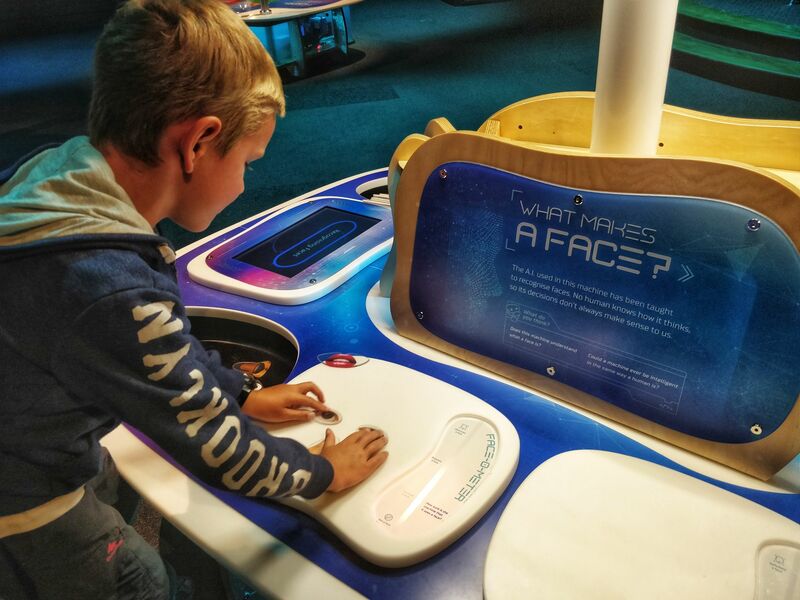 Each of the areas within the science museum were well thought out and informative. The boys got a lot out of their visit. We spent around 4 hours here and even attended a show on illusions and how your eyes can play tricks on you. The best part of this museum was definitely the friendly staff. Highly recommended fun for all the family! Check out their website here. 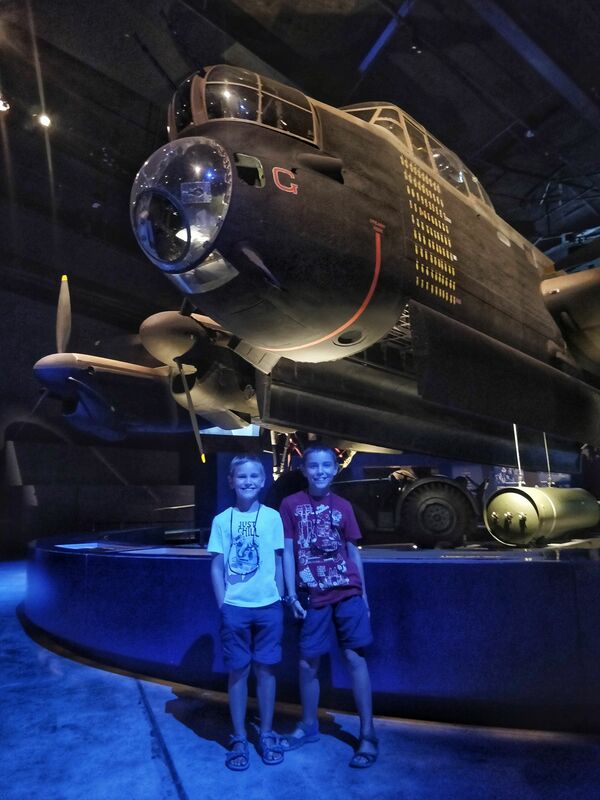 As we spent longer than anticipated in the science museum, it meant our time at the war museum was a little rushed. However, after a recommendation from an Aussie (Jake) we met in Jodhpur, they were adamant they were going! Even before you get into the museum there are lots of artillery and information outside. After a brief wander here, we headed inside. WOW! It really has been put together very well. 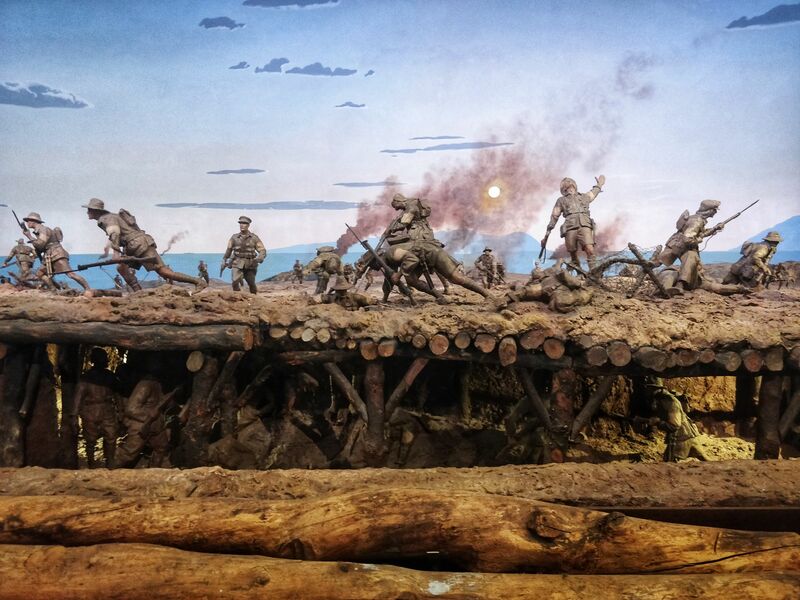 It was a treasure trove of history and celebration of the Australian military and their service men and women! We didn’t get to all the areas, as we arrived late, which is a shame. But what we did see was very detailed with lots of videos and well thought out displays, including a Lancaster bomber. The lighting and sound effects added to the story. Just brilliant. There is a cafe in the museum and at 4.55pm each day they have a service and select one hero from their remembrance wall and talk about his/here life and war efforts. It’s very respectful and inspirational. We couldn’t stay for the ceremony as we needed to get to the campsite for check-in, plus the boys were just a little tired and hungry after a very hectic and long day. See their website here. As an animal lover, Ethan found information on a nature reserve which listed lots of native animals. For more on our visit to tidbinbilla click Here. 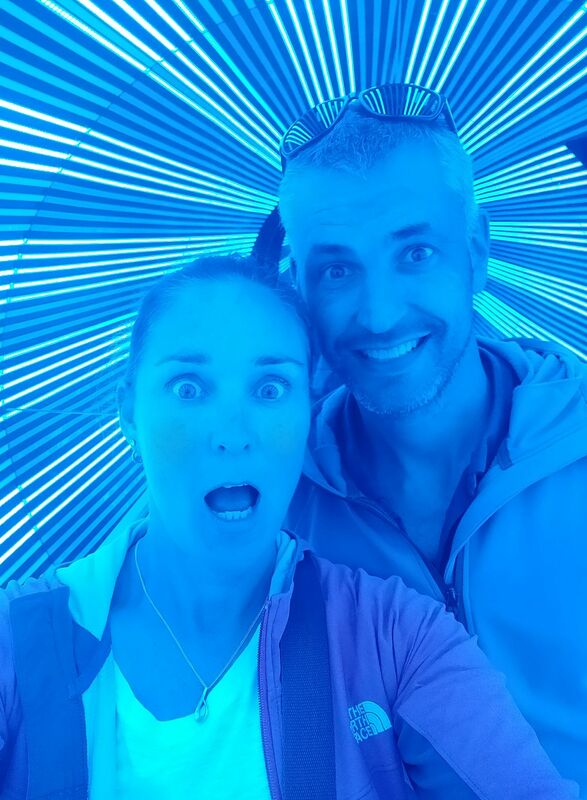 Also, allow yourself time to visit Canberra space centre – which is free!! 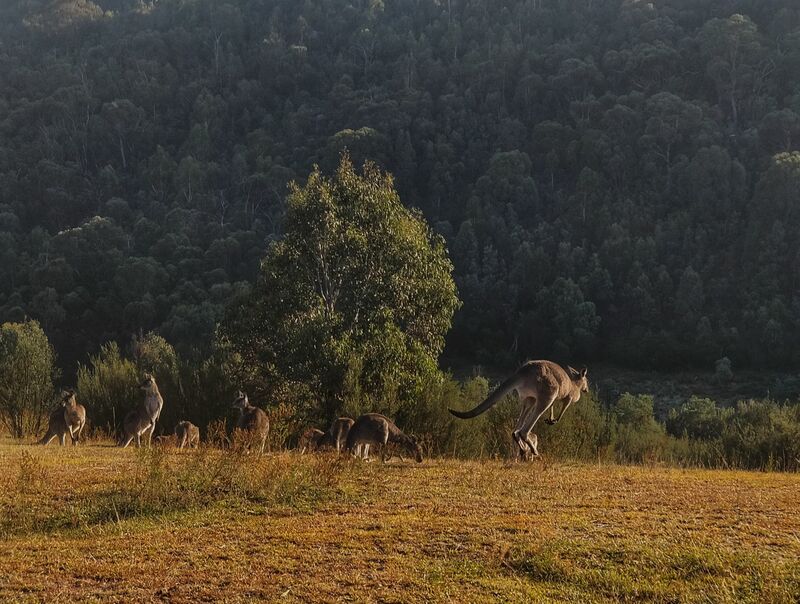 It’s very close by Tidbinbilla, expect we hadn’t realised until after we’d left – DOH! The boys would have really loved this too!! Canberra is a great destination and you’d need at least 3 full days to fully appreciate everything on offer! There really is a lot to keep you and and your little ones entertained. I loved the different types of activity that were on offer. I know Canberra isn’t listed as one of the main cities to visit in Australia. But if you have kids and like culture then it’s not one you want to miss. Just be prepared to do a lot of walking, as it’s a compact and lovely city to walk around. But not only that, as it’s so small it’s easy to reach the outskirts where there is an abundance of nature, wildlife and parks to explore. Get yourself to Canberra today.